Whether you have years of experience on the water or desire a tranquil family outing, Double Threat Fishing Charters will suit your needs. Sportfishing is always met with different variables. Winds, currents, and weather patterns are constantly changing. Our South Florida fishing charters take these variables into account while simultaneously considering customer preference. 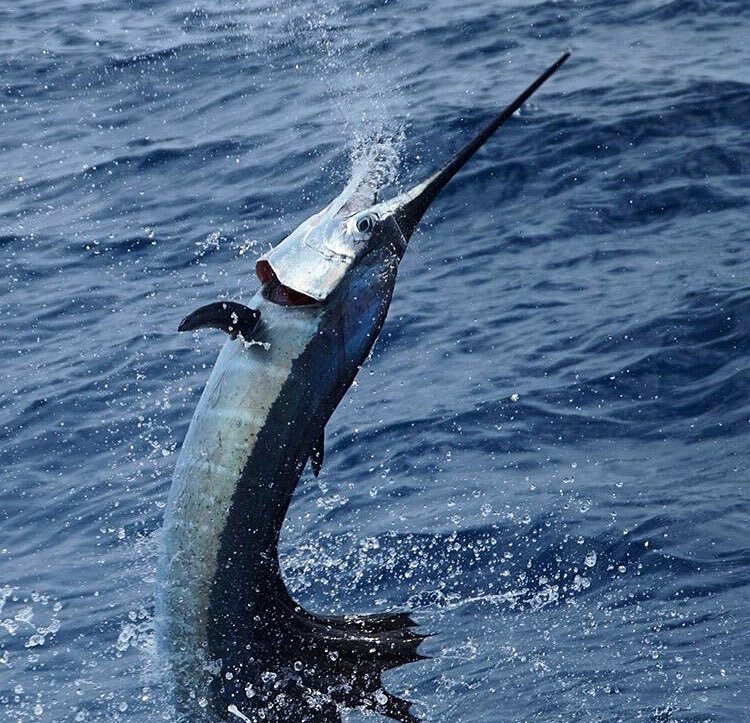 We target every species in Miami including tarpon, sailfish, snapper, sharks, mahi-mahi, swordfish, snook, kingfish, tuna, and marlin to name a few. With a 43' Hatteras for Deep Sea Fishing and a 20' Bay Boat to conquer the flats, we are ready for anything. Don't let our tournament style approach intimidate you, we predominantly fish light tackle and make the most elusive gamefish a reasonable target for even the most inexperienced anglers. Your safety, comfort, and enjoyment are our only priorities from the moment you contact us. Unlike most multiple boat operations, we are owner operated and take our reputation very seriously. There are less expensive charters online but you won't find a more experienced crew, well kept boat, or positive atmosphere. Keep reading and you'll understand why "No Fish is Safe!" Our crew lives and breathes fishing. When we're not on the water we're either working on the boat or thinking about our next trip. What sets us apart from other Miami fishing charters is our tournament style approach and encouraging atmosphere. What sets us apart from other Miami fishing charters is our tournament style mentality. We spare no expense during our trips. Most boats try to save fuel, save bait, and are always worried about their next charter. We go hard every trip like it was our last. We provide live bait on every charter and won't hesitate to burn extra fuel if we need to. Our crew is hard working, experienced, and ready for anything. We don't profit from saving fuel and selling fish mounts. We profit from repeat business earned through blood, sweat, and tears. We offer many different packages that consider the preference, experience level, and budget of our clientele. With extensive knowledge of inshore and offshore fisheries coupled with experience targeting every gamefish in Miami, we will find the bite. We pride ourselves by offering more options and better customer service than any other fishing charter in Miami. We are owner operated and take our reputation seriously. 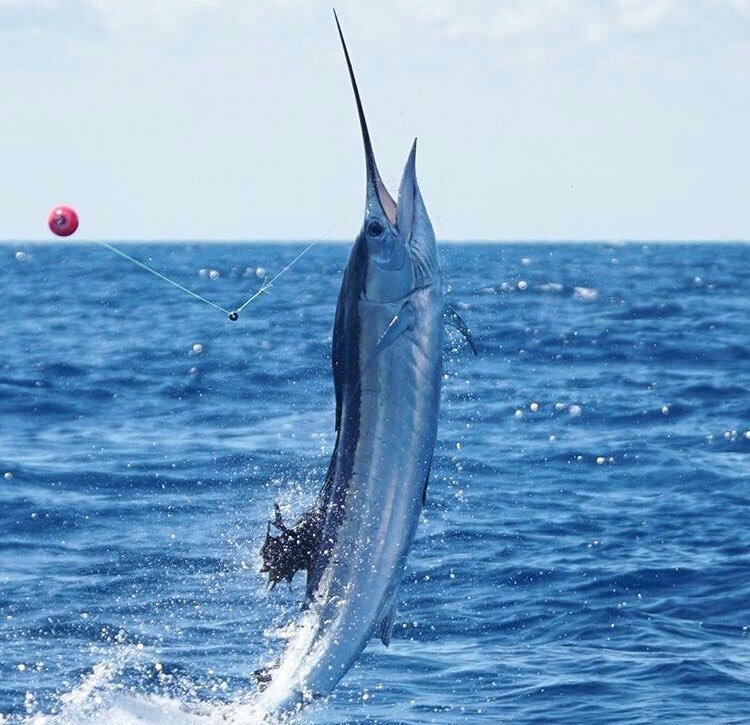 Whether you are looking to take out the kids, impress a new client, or catch your first billfish, we can match you with the ideal trip. For Deep Sea charters for up to 6 people, check out our Deep Sea Fishing Page. For Inshore Fishing for up to 3 people, check out our Inshore Fishing Page. Not sure which excursion to pick? Contact us now! Our crew will make every trip a special one. We don't count down the seconds until we return to port, we spare no expense and pursue the fish of a lifetime on every trip. If the bite is slow in one area, we will switch locations and techniques in a matter of minutes. When we leave the dock we are ready for everything. Tight traveling schedule? We will find a way to get you on the water. Our accommodations will ensure a quality experience, beginning from the moment you contact us. Our charter service is fully licensed, insured, and provides everything necessary for a safe and memorable day on the water. 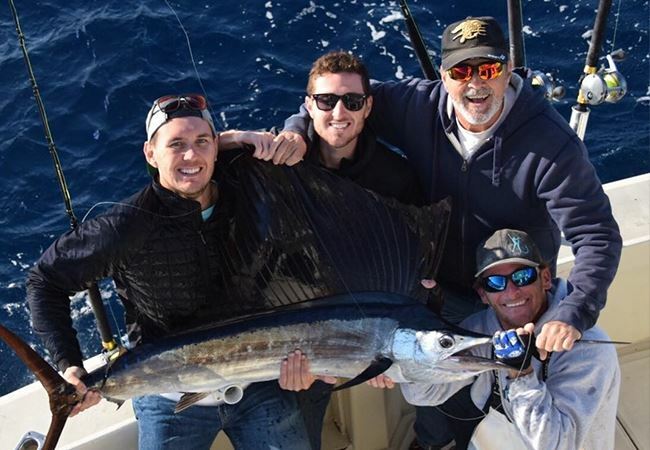 While gazing at the skyline of Miami Beach, Downtown Miami, and Key Biscayne during the run back to port, you'll fully understand the addiction of sport fishing. Join us for an unforgettable day of tournament-style fishing and make sure to bring your camera. Tournament Style Charters for All Ages and Experience Levels - Video Evidence Below! Our captains have spent many years fine-tuning their fishing methods and take pride in knowing that they'll put clients on fish, regardless of the conditions. Check out our Miami Fishing Reports and witness evidence of our success. In addition, visit the Captains' Log where our captains showcase their stories, videos, and more. 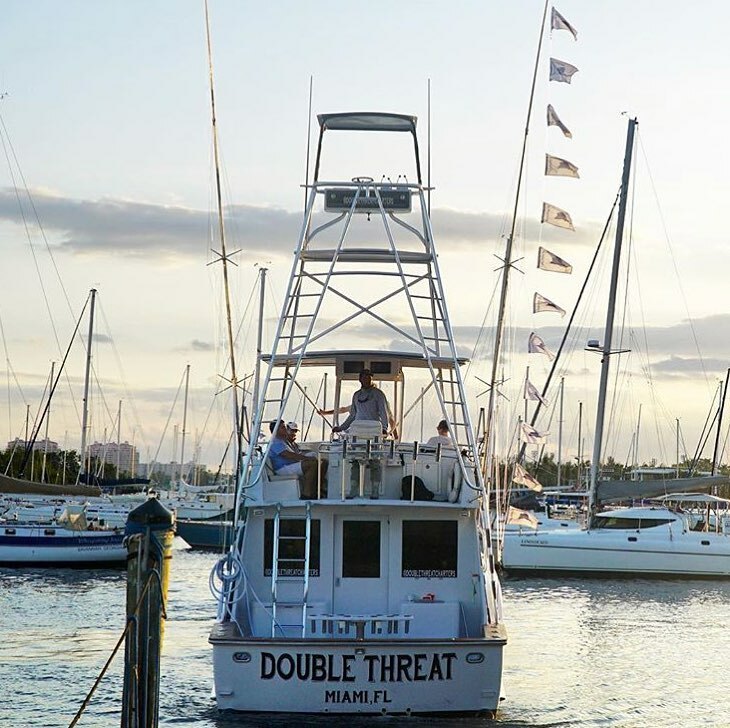 With the hard-working approach of our crew, diverse knowledge, and unparalleled flexibility, you'll have a shot at the fish of a lifetime with Double Threat Charters. Inexperienced Anglers, Have Any Questions About Your Fishing Trip? Browse through the website and give us a call. 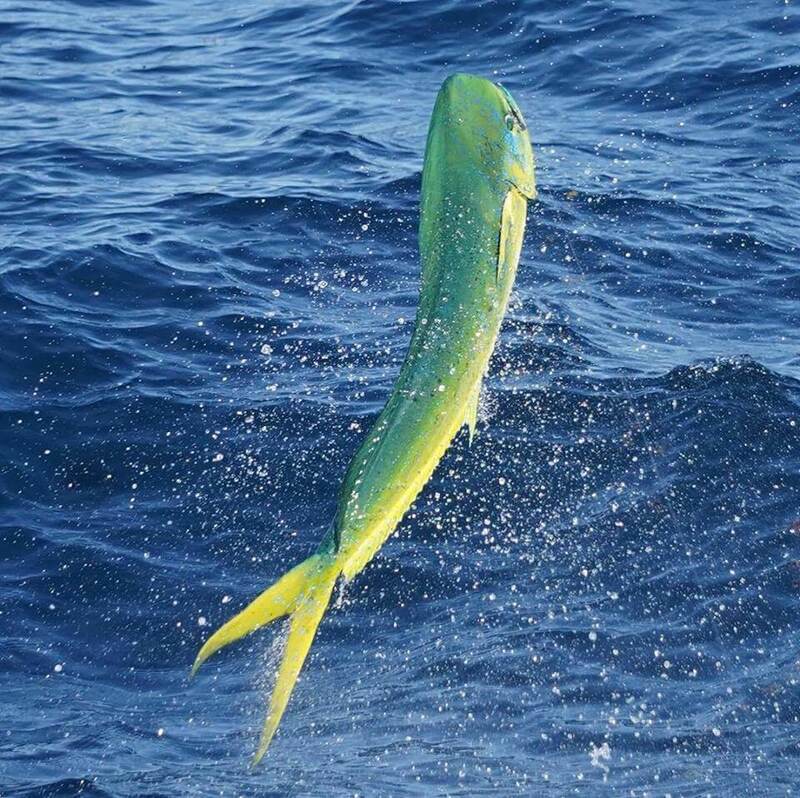 We'll be happy to answer any questions in an effort to satisfy the interests of our clientele and arrange the ideal offshore or inshore fishing charter for our guests. We'll have plenty of suggestions for the most productive fishing charter, depending on the time of year and what our guests wish to catch. Children and older individuals will be happily accommodated by our crew, as well. 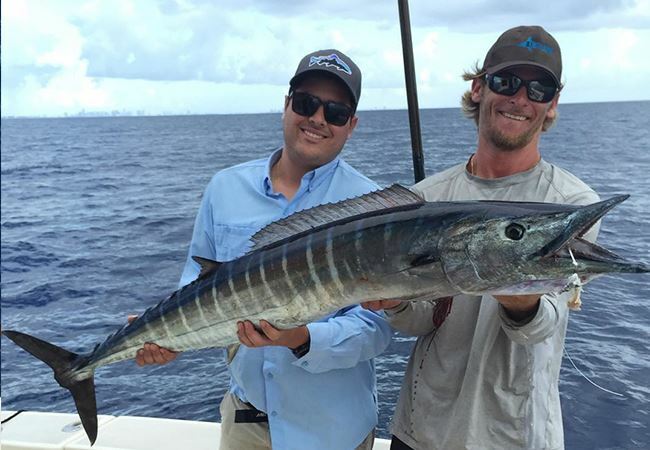 Experienced Anglers, Book your Miami Charter Fishing Experience today! Is there a species of fish that's evaded you for years? Or would you like to become more familiar with your local area and extend your knowledge on those tricks and tips that lead to our success? Our fishing charters will satisfy even the most seasoned anglers and provide them with an excellent opportunity to expand their knowledge and improve success. Learn how to kite fish with 2 kites, drift for swordfish, bottom fish on wrecks, vertical jig, fly fish, and more. Experienced guests are more than welcome to test out their own gear if they desire. Don't hesitate to contact us with special circumstances. We can accommodate large groups by arranging multiple boats for a friendly tournament. In addition, we regularly host bachelor parties, birthdays, anniversaries, and more. We are more than happy to make any event a special one and offer the flexibility to do so. Looking to get away? Multiple day trips to the Bahamas or Keys can be arranged for repeat clients. Feeling competitive? We are available for charter and ready to fish in any local tournaments. Contact us for rates and details. Find something we don't offer? We are well networked in the South Florida Community and will happily point customers in the right direction should they inquire about a service we don't offer. Contact Us for any of your fishing needs and we'll be happy to help. We will put you on the fish. 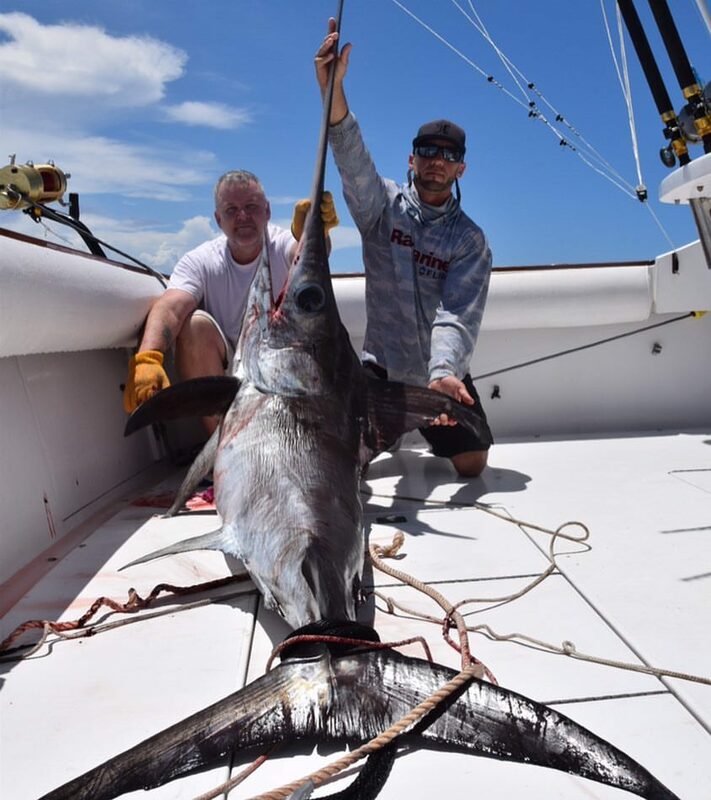 As the son of a pilot, Captain Nick Gonzalez has traveled the world and fished in various locations from the Outer Banks to Hawaii. His extensive experiences have made him a cultured fishermen but he has still managed to keep his heart here at home. Embarking from Coconut Grove, Nick has plied Miami's inshore and offshore waters and extended his reach to the outer islands of the Bahamas. 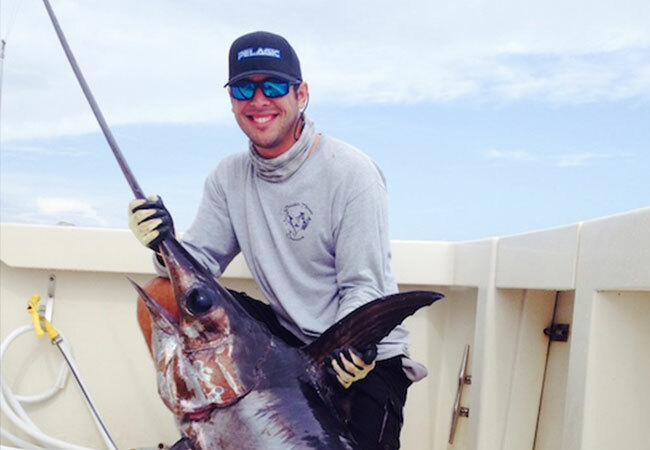 Nick has caught nearly every species in the Atlantic and has a wealth of knowledge about the sportfishing industry. He has a young face but has spent over 15 years fishing in Miami's waters as a recreational angler, professional mate, and captain. Nick has captained the Blue Yonder (his first boat) during countless tournaments with many first place finishes. 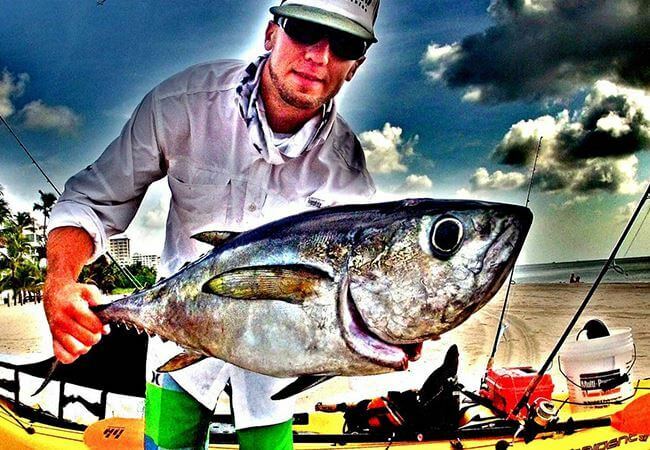 He takes a tournament style approach to each trip with intentions of out-fishing the fleet every day. His passion is contagious and he enjoys sharing his knowledge with others. When he isn't fishing he is either working on the boat or writing for different magazines. 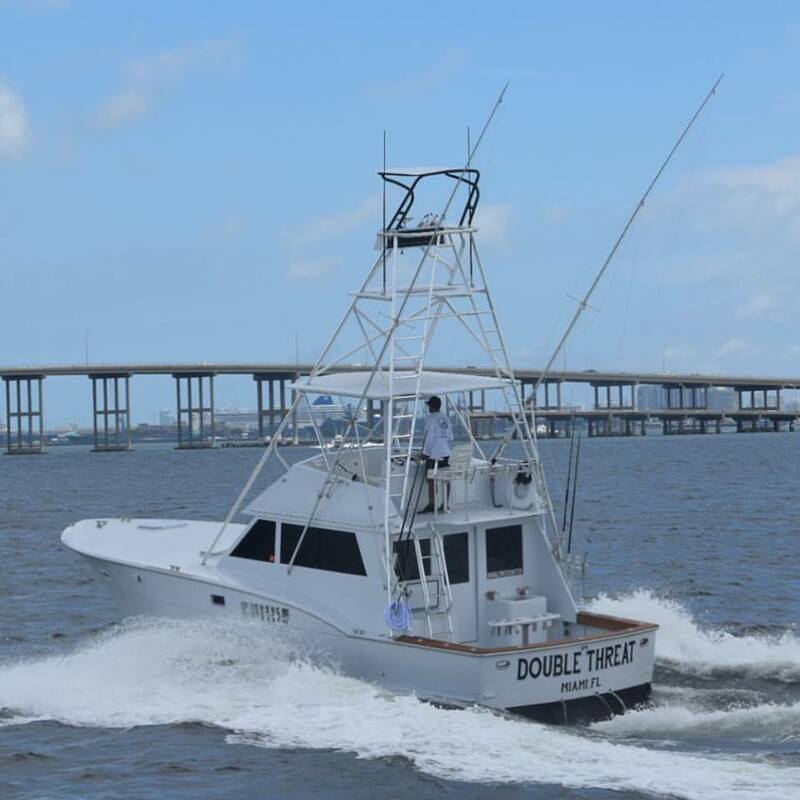 Over the last few years, Double Threat Charters has been featured in Marlin Magazine, InTheBite Magazine, Florida Sportfishing Magazine, Coastal Angler Magazine, and more. 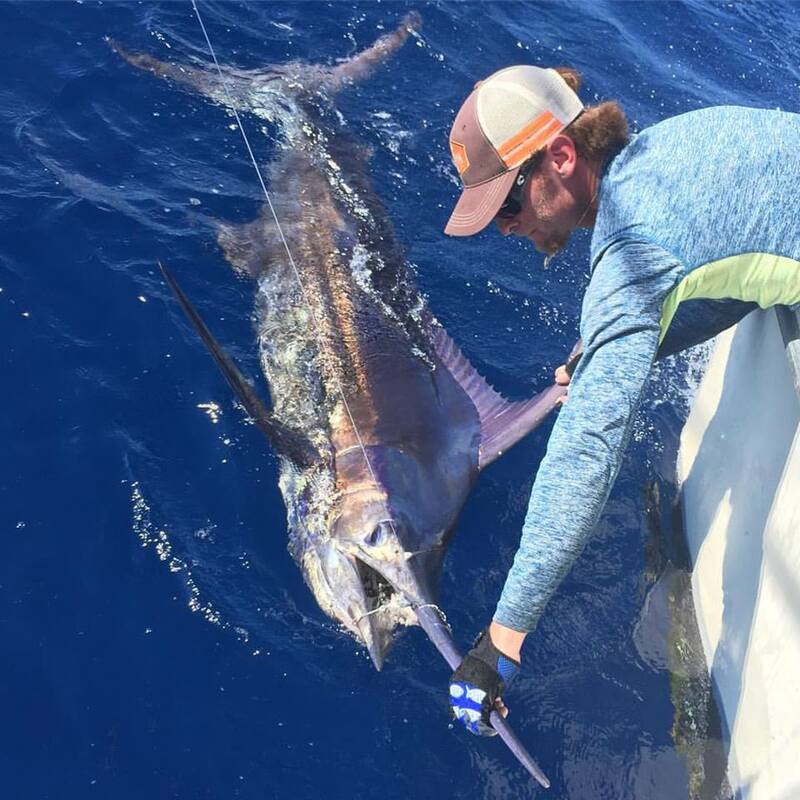 During 2018, Captain Nick received the distinguished honor of Top Release Captain for Atlantic Sailfish as well as Top Release Captain for All Charter Boats in South Florida. At just 25, he was one of the youngest captains to ever receive this award. 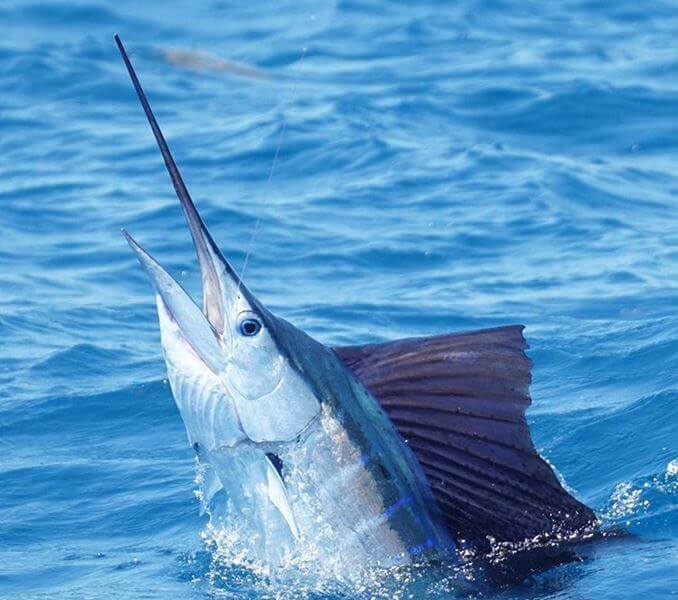 With over 300 sailfish releases in 2018, the Double Threat released more sailfish than any other boat in the Atlantic Ocean. Kristjan grew up in New Jersey spending his weekends chasing striped bass, blue fish, flounder, and just about any cold water fish he could get his hands on. He always knew that there was more in the world than cold weather and crappy fishing so after graduating from college with a degree in nuclear engineering (he's way over qualified for this job), Kris joined the navy. He spent 6 years on tour while traveling through Asia and the Middle East in a nuclear submarine. After serving his country Kris made a big move to sunny South Florida where he could pursue his lifelong passion of fishing in a tropical climate. He settled down in Miami Beach where he began chasing tarpon, snook, and sharks from his kayak (yes, a kayak). He built a very strong local presence while targeting these exotic species on a small boat with light tackle. Before long he dove head first into the charter fishing scene where he began working with some of the best captains in the industry. Kristjan is a well rounded individual and capable of tackling just about any obstacle when it comes to boat work, photography, graphic design, and more. He's great with people, witty, and it's always nice to have a mechanic onboard. Captain John Prahl is a fourth generation Miami native. He has over 20 years of experience fishing in the backcountry of Miami, Florida. He grew up fishing the waters of Miami’s Biscayne Bay, the Florida Keys, Dry Tortugas, Flamingo in Everglades National Park, the Gulf of Mexico, Florida Bay and Whitewater Bay, as well as in the canals and urban waterways. 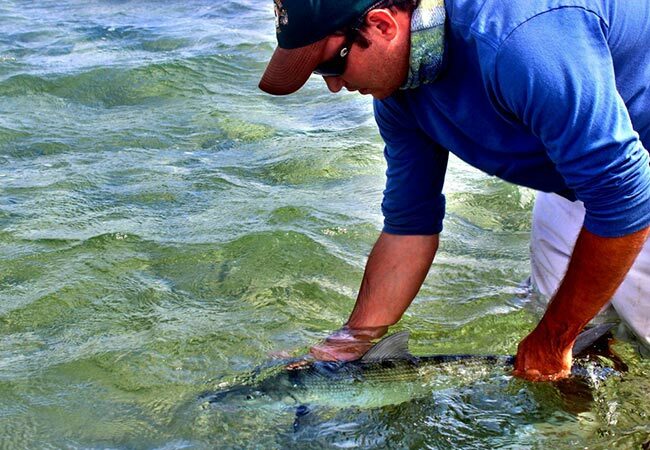 South Florida provides one of the most diverse and challenging, but also one of the most prolific recreational inshore fisheries in the world.